This listing is made with your choice color(s) of genuine unpolished Baltic amber from sizes starting at a 4" baby bracelet all of the way up to a 45" belly necklace. It is strung on a nylon cord and hand knotted between each bead. 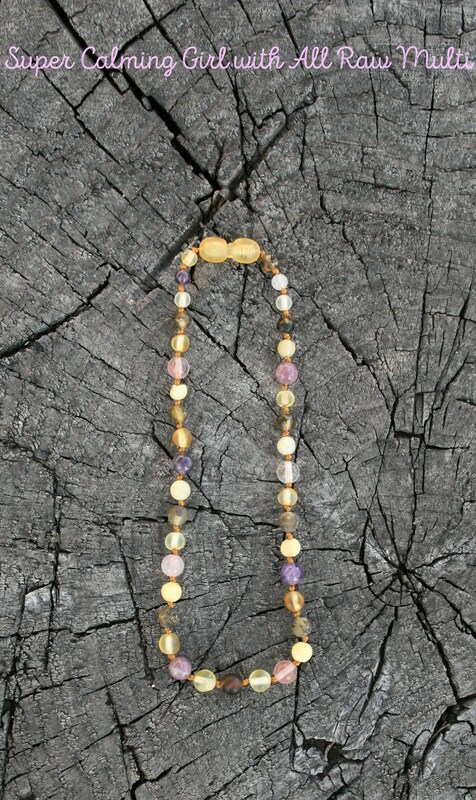 This added stones include Rose & Rutilated quartz, Pink Tourmaline, Purple and Pink Lepidolite, and Amethyst beads. *Rose quartz is believed by some as the Healer of the heart and other emotional wounds. *Amethyst is commonly believed to relieve stress and strain, soothes irritability, balances mood swings, dispels anger, rage, fear and anxiety. Alleviates sadness and grief, and dissolves negativity. 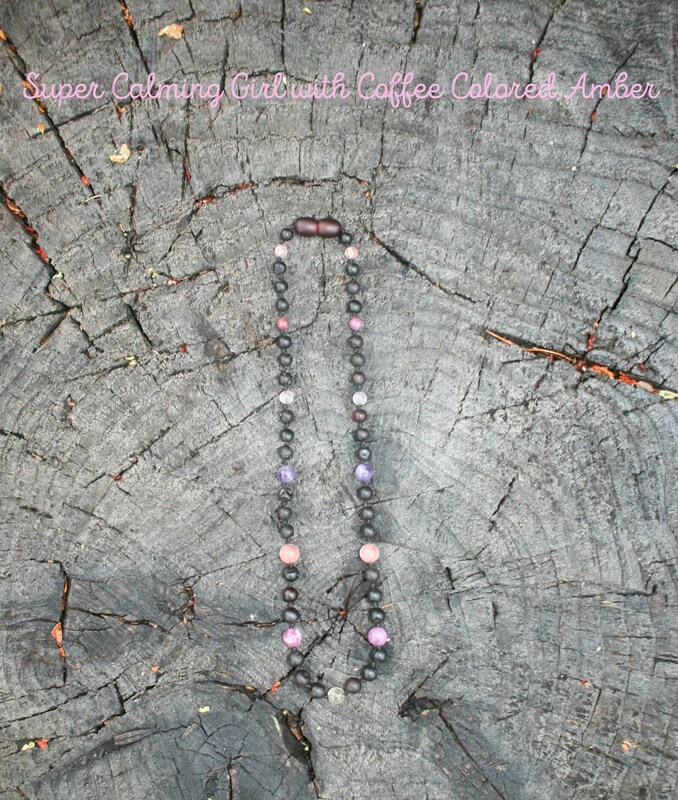 *Pink and Purple Lepidolite is a very calming stone. Some people believe that it may help with behavioral issues and to settle one's mind. Lepidolite clears electromagnetic pollution, strengthens the immune system, soothes the nervous system. It helps with nerve pain, joint problems, and growing pains. It is rich in lithium and is believed to help with emotional issues. *Pink tourmaline is the stone of unconditional love. 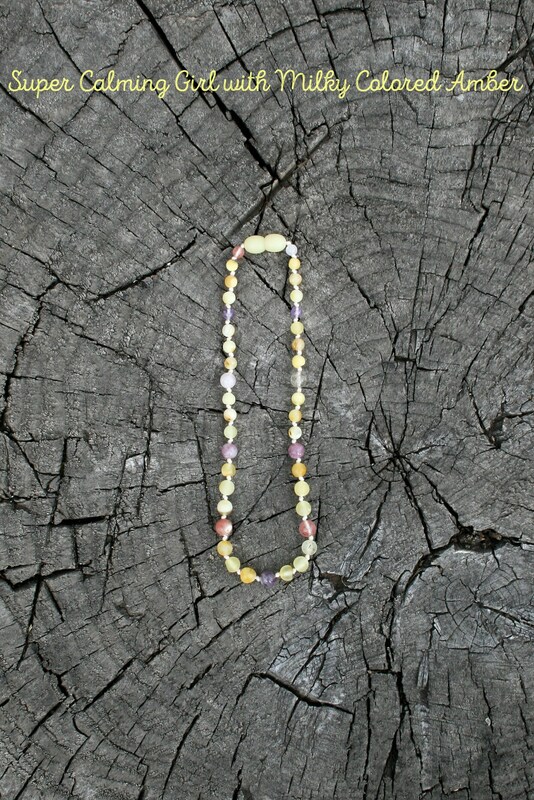 It radiates a gentle energy that creates emotional balance. *Rultilated Quartz beads amplify, focus, store, transform, and energizes the whole necklace . 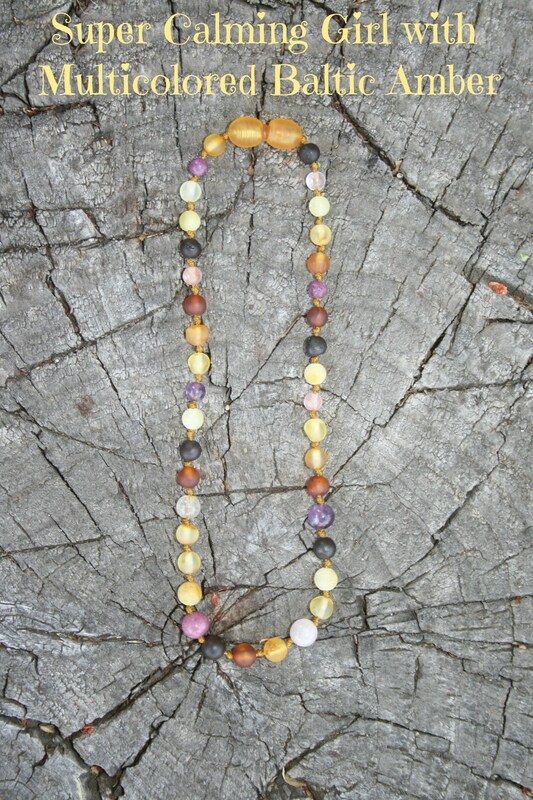 All of these beautiful stones are a great addition to a teething necklace! Helping with pain on every level! This is a version of super calming with pinks and purples. 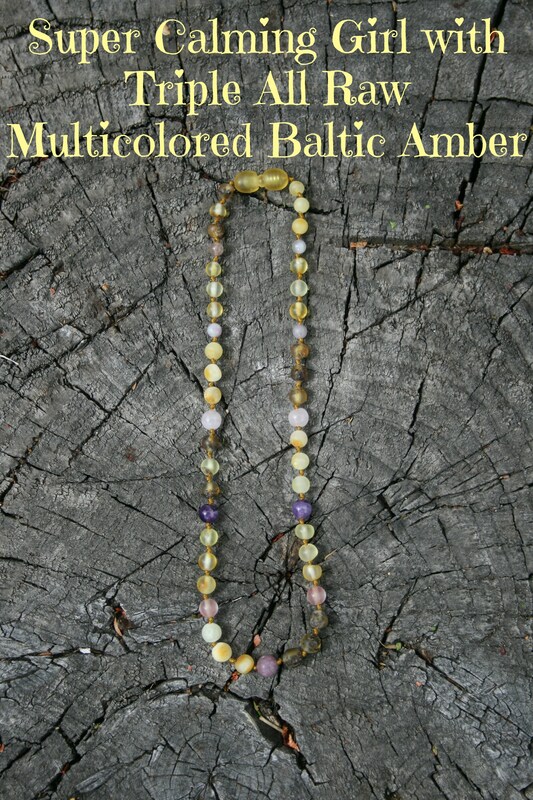 If a prefer purple and black version, you can find it here: http://www.etsy.com/listing/162105872/raw-unpolished-baltic-amber-teething? To measure for the best fit for a teething necklace, make sure it's not long enough to get into the child's mouth while crawling, but long enough to allow the child to grow into the piece. This is just a basic sizing guide. Always measure for the best fit. ******Not sure what your supposed to get? 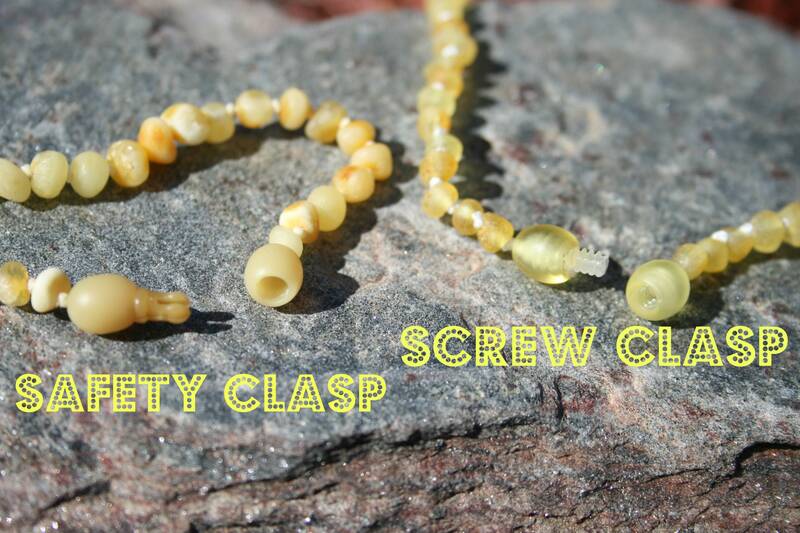 ALL OF OUR AMBER IS UNPOLISHED and RAW so you can't go wrong with any color!! YES, YOU CAN GET IT WET!! Chlorine isn't good for it, but a mild soap is. I clean mine with dish soap and a baby toothbrush every once in a while. You will see that the beads become shiny with body oils and will need to be cleaned. Then you can lay it in the sun to warm it and draw out the healing oils again. Item may slightly differ from what is shown in the picture due to the natural variance of this product. Since amber and hazelwood are naturally occurring products, it is only natural that their shapes and color will differ from piece to piece. Also, I am not a doctor or anything but I do use this stuff on my own family and we love it! Please use common sense when using any jewelry on young children. Gorgeous quality and superb care goes into every necklace I own from this shop. I will keep coming back!